All co-operatives around the world share these values and principles. Members contribute equitably to, and democratically control, the capital of their co-operative. At least part of that capital is usually the common property of the co-operative. Members usually receive limited compensation, if any, on capital subscribed as a condition of membership. Members allocate any surplus for any or all of the following purposes: developing their co-operative, possibly by setting up reserves, part of which at least would be indivisible: benefiting members in proportion to their transactions with the co-operative; and supporting other activities approved by the membership. 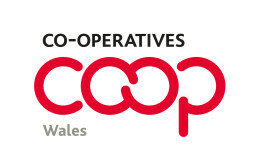 Extract from the Statement on the Co-operative Identity, adopted by the General Assembly of the International Co-operative Alliance in 1995.